Baby No. 5 is almost here! 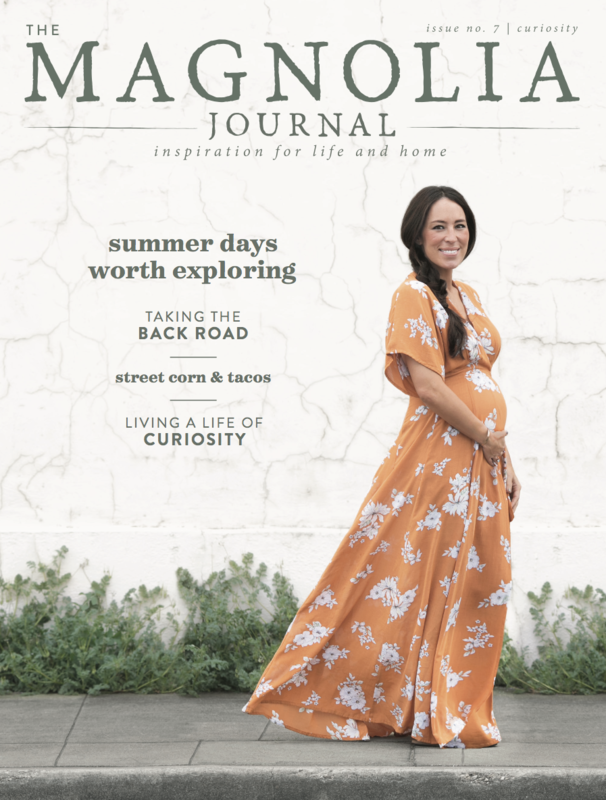 Joanna Gaines appeared on the cover of the Summer 2018 issue of The Magnolia Journal, and she looked absolutely gorgeous. 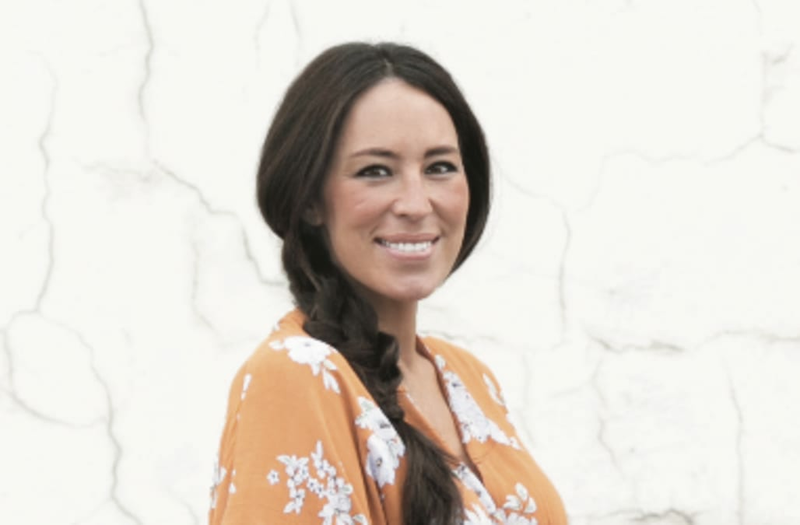 The former "Fixer Upper" star donned a floral frock in a magnolia yellow hue, no less, on the cover as she flaunted her blossoming baby bump. She kept her makeup light, which we expected from the natural beauty, and styled her long brunette tresses in a beautiful braid. Joanna is due to give birth to her fifth child with husband Chip this summer, though the exact date is unknown. The Magnolia Journal's latest issue is all about summer, as stated in Joanna's editor's letter. "I love that summer chooses to greet us this way: slow, steady, and full of anticipation. Before long, we're happily soaking up its daily offerings of boundless sun and the lighter night sky," Joanna wrote. From details of Chip and Jo's impromptu daytime date to why Chip thinks you should "live every day like it's Saturday," the issue is jam-packed with articles that reflect a "deep desire to know." For the former HGTV stars, this issue is special because it'll be the last one before their fifth child arrives. In the latest issue of People, Jo revealed that her pregnancy came as a total surprise. "I had been feeling a little emotional and crazy and thought, 'Wow, this isn’t me,'" she said. "Then all of a sudden I realized, 'Hey, I remember this.' When I saw the results of the test, my jaw dropped. Chip was in the driveway about to leave when I called him back and said, 'We’re pregnant!'" Of course, Chip was ecstatic when he heard the news! In fact, Jo's pregnancy was perfect timing -- the couple was about to wrap up the last season of "Fixer Upper." "We had a lot on our plates, and at some point, you have to call those shots when you feel like you need a break," Joanna said of ending the show. For more on Chip and Jo, watch the video above!